THIS IS A SOLD SHAMPOO BAR CONTAINING THE AMAZING ACAI BERRY. THE CHERRY SIZED ACAI BERRIES GROW IN THE AMAZON REGION OF NORTHERN BRAZIL. THEY ARE SOUGHT AFTER A A POWER FOOD. BUT ACAI BERRIES ALSO STRENGTHEN AND REPAIR BRITTLE AND DRY HAIR. WITH IT'S STRUCTURE RESTORED TO NATURAL SMOOTHNESS HAIR LOOKS SILKY, SMOOTH AND HEALTHY. ACAI BERRIES WILL ALSO PROTECT YOUR HAIR AND SKIN FROM FREE RADICALS. 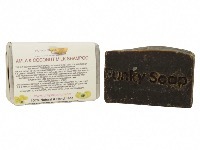 THEY POTENT ANTI-OXIDANTS AND WILL HELP RESTORE YOUR HAIR AND SCALP. THIS IS A SOLID SHAMPOO BAR CONTAINING ALOE VERA GEL AND NEEM OIL TO HELP WITH OILY HAIR / ITCHY SCALP AND SCALP CONDITIONS SUCH AS DANDRUFF. ALOE VERA AND NEEM OIL HAVE LONG BEEN USED TO TREAT SCALP CONDITIONS DUE TO THEIR ANTISEPTIC AND SOOTHING PROPERTIES. 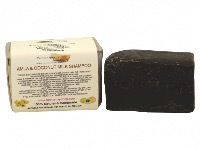 THIS IS A SOLID SHAMPOO BAR CREATED WITH AMLA WHICH HAS BEEN USED FOR HAIR CARE BY THE ANCIENT TRADITIONAL INDIAN MEDICINE AYURVEDA FOR CENTURIES . 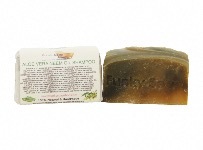 AMLA IS RICH IN NUTRIENTS AND VITAMINS, PROMOTING HAIR GROWTH AND A HEALTHIER SCALP AND HAIR. IT IS ALSO GOOD AT FIGHTING DANDRUFF AND SCALP IRRITATION. AND NOURISHED HAIR AND THE SOAPNUTS WILL CLEANSE GENTLY.